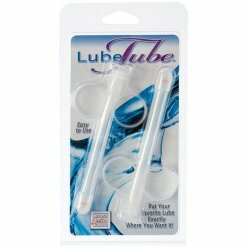 Enjoy extended arousal and prolonged sensual satisfaction with the Lube Tube. 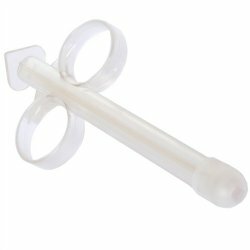 The contoured, syringe style applicator is designed for precise lubricant application, and an elevated sensual encounter every time. 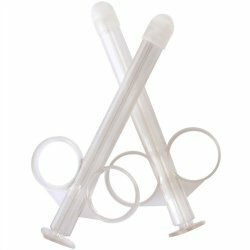 The easy to use, lightweight tubes are supplied in a pair and are reusable, refillable and easy to clean. 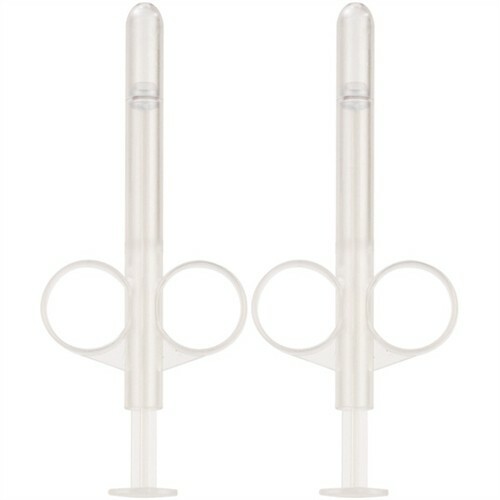 To use, simply pull up the handles to draw the lube up the tube, and apply directly. 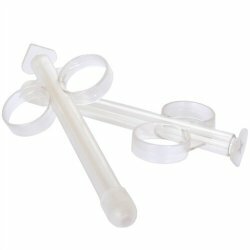 Made from durable, body safe ABS, the syringe has a sleek contoured design for comfortable and direct application. 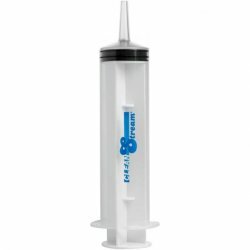 The tube is easy to fill with quality lube and disperses the correct amount just where you want it. 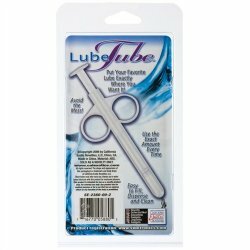 Avoid unnecessary mess and waste by applying the exact amount of lube every time. 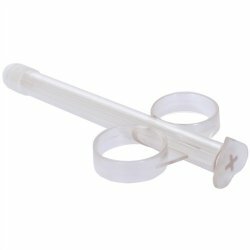 The compact tube measures 3.25" x .5 / 8 cm x 1 cm and has a handy cap for travel use.